You may have already begun to notice something wrong with your home’s wiring. Your entire electrical system may be compromised at this point. A day without your electrical working can put you in a predicament. A Moscow panel upgrade may be needed at this point in time. A typical cost associated with panel upgrades range due to who is doing the work and how complicated the upgrade will be. Many electricians charge by the hour as there’s some who charge by the job. Typically an upgrade can run anywhere from $800- $1,200. This is a common price tag associated with existing electrical panels up to100 amps. If a new panel is needed, the price increases to $1,500 to $2,500. Most electrical panels in older homes have a much lower capacity than most of today’s modern appliances. 100 amps is the current minimum that’s needed. Most of the newer construction out there today has 400 amps. Before you settle with one electrical contractor to get work done, it is very important that you shop around. This way you’ll be able to make a decision based on the best candidate as opposed to whoever was most convenient. When you find the electrician of your choice, ask for referrals. One who is reputable will provide you with multiple referrals so that you can call and ask those, who have work done by a particular contractor, what they liked or disliked about them. Be sure and ask to see their licensing. Most states require a license in order to practice their trade. Electricians are no different. With professional ones, you should have a contract drawn up and upfront pricing. Never give any contractor money up front. Most will ask for a check when the work is completed. All work should also be inspected once completed. This ensures that it was done correctly and safely. When you need a Moscow panel upgrade done, be sure and have money set aside to pay for this service. Upgrades are perfect for those looking to have new appliances installed into a home where an older panel box is and also for construction additions. 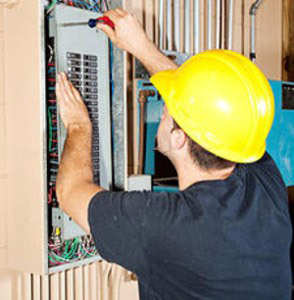 If you are looking for a Moscow electrical panel upgrade expert then please call 208-883-1099 or complete our online request form.